Attention Anime fans! If you love anime and manga, then this mystery box is for you. The Mystery Box Anime Edition includes hand picked buttons, a vinyl decal sticker, and pixel art secretly selected by our staff of anime and manga experts just for you. Attention Anime fans! If you love anime and manga, then this mystery box is for you. 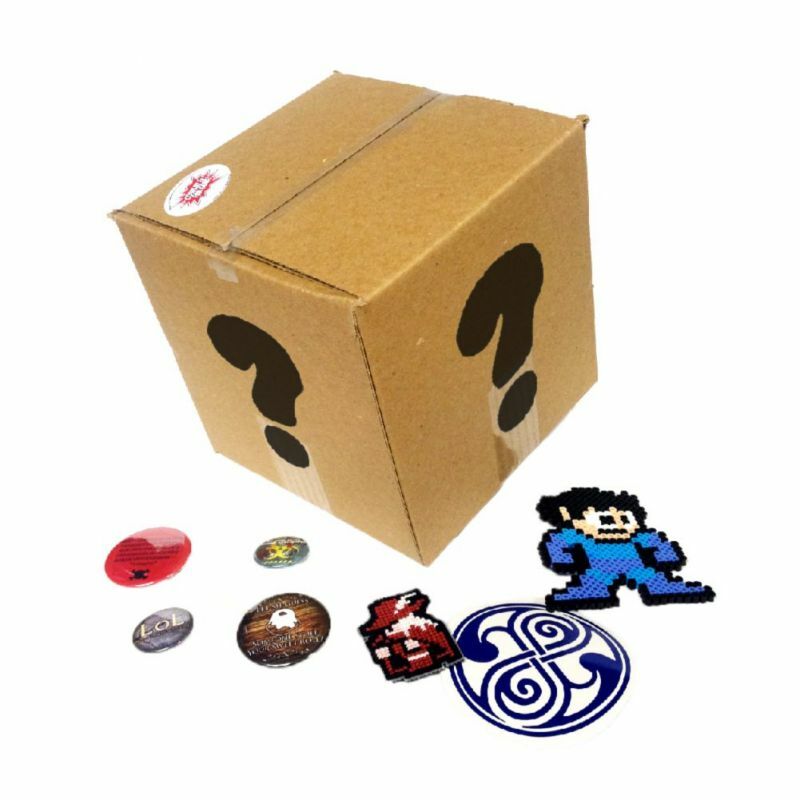 The Mystery Box Anime Edition includes hand picked buttons, a vinyl decal sticker, and pixel art secretly selected by our staff of anime and manga experts just for you. Check out the product image for an EXAMPLE of the item styles you could receive. Because what's inside the box is a mystery, we cannot guarantee the exact styles you will get. However, you are guaranteed to receive eight (8) Pinback Buttons, one (1) Bead Pixel Art, one (1) Cross Stitch Pixel Art, and one (1) Vinyl Decal. The items you receive will be hand picked by our own anime and manga experts. Hand-picked Mystery Items by Anime & Manga fans for Anime & Manga fans! US buyers receive FREE shipping and international buyers get discounted shipping. The Mystery Box is a great value for otaku with the included items worth at least $27 USD (MSRP)! Specific item styles will vary for each box purchased. Exact sizes and colors will vary. Items pictured are product examples. You are guaranteed to receive the following items eight (8) Pinback Buttons, one (1) Bead Pixel Art, one (1) Cross Stitch Pixel Art, and one (1) Vinyl Decal.